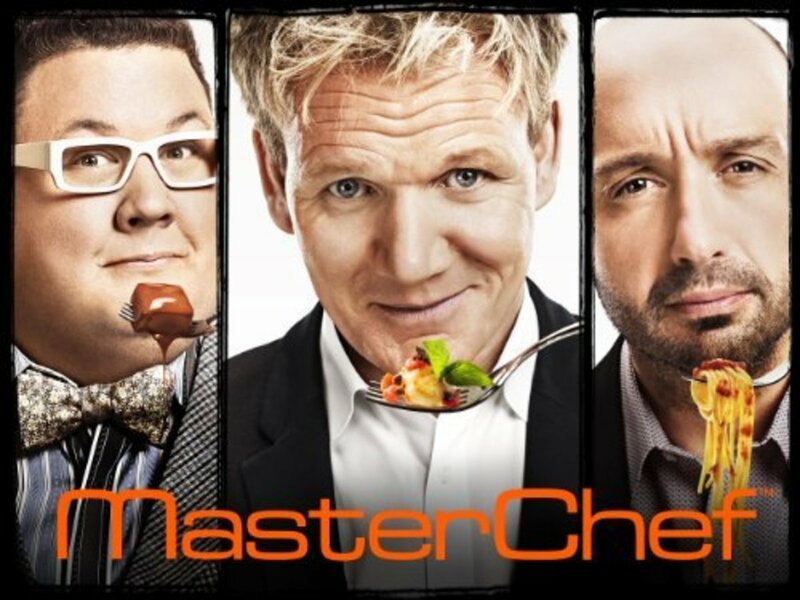 MasterChef Season 4 - episodes available via Amazon Instant Video below! MasterChef US Season 4: Recaps, Reviews and More! MasterChef is a worldwide television sensation, one of the most popular cooking competition shows everywhere from Australia to the United Kingdom to the United States. The third season of MasterChef US drew sky-high ratings for the FOX TV network, as many cheered on the 18 top contestants over the summer of 2012. MasterChef US has made an instant celebrity of Christine Ha - the blind home chef who went on to win the competition, $250,000, and a deal for her very own cookbook (just released in May 2013). Are you interested in becoming the next MasterChef US? Well, it might be too late for Season 4, as the open casting calls ended on November 30, 2012 and the new season is now on the air. For season 3, over 30,000 individuals applied to be on the show, and I'm sure the numbers for Season 4 were similarly high. In fact, I had a blast going to the open casting call in New York City last November myself - a story you can read about below! Read on to learn more about MasterChef US Season 4: basic facts about the show, when it's airing, and how to follow the current contestants via social media, their blogs and websites. I'll also be sharing my weekly episode recaps and reviews, along with polls where you can share your opinions about the show. MasterChef Season 4 Instant Video on Amazon - Miss an episode? Need to catch up? You can download individual episodes of the current season on Amazon via Instant Video! From the first auditions through each weekly challenge and elimination, don't miss a minute of the action, excitement - and cooking, of course! 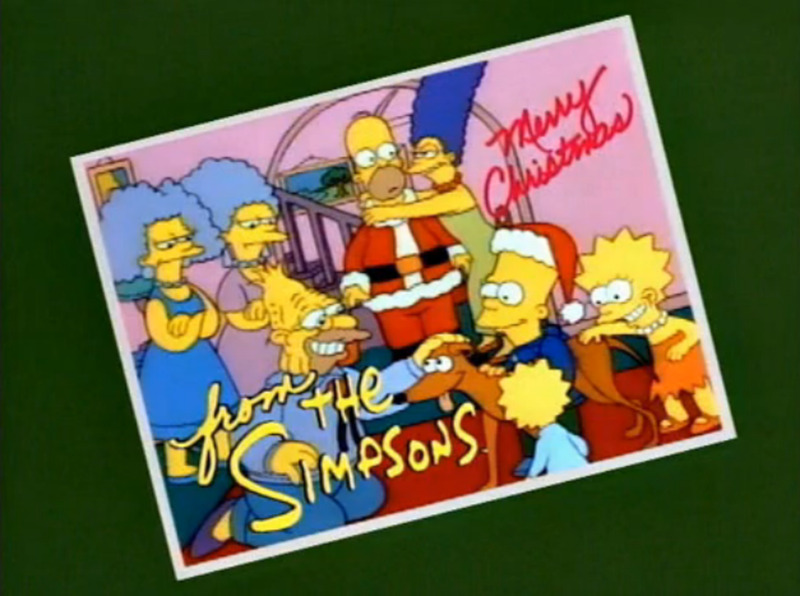 Individual episodes are $1.99 each - or buy the entire season for $34.99 and save $4.81. Crostini, risotto, filled pasta, panna cotta...these are some of the dishes you will be making if you get Luca's great cookbook! Some of the recipes you will definitely recognize if you followed season 4 avidly. Luca's book, "My Italian Kitchen", was just released in May 2014. And as a fan and an avid home chef, I can tell you that it is great! I've tried a number of his recipes already and they've come out excellent. The book is all Italian in focus and goes far beyond the basics--but is still written in a way that's easy for any home cook to prepare at home. It's a really great collection of recipes that will elevate your home cooking results and teach you simple yet effective ways to prepare restaurant-quality Italian food at home. Read my full review of Luca's cookbook to learn more, and see photos of the recipes I've prepared so far! Have a favorite contestant? You can follow them on Facebook, Twitter or check out their website. I've provided links below as I can find them. Your Favorite Contestant in the Top 18 - Do you have one? Now that we know who made it into the Top 18, who is your favorite "home chef" vying for the title of MasterChef? What are you feelings after this week's audition episode? I'm excited! It looks like there are some very talented chefs in the competitiion right now. I'm not sure. It seemed pretty gimmmicky tonight. Who is Joe Bastianich? He's the only MasterChef judge who is not a restaurant cook himself - however, he knows a great deal about the restaurant industry and food in general. Learn more about Joe in his great book, "Restaurant Man", and you will have a whole new appreciation for the seemingly "tough guy" MasterChef judge. What are your thoughts after the first two weeks' episodes? Are you enjoying MasterChef as much as before, or not liking it as much, for whatever reason? Feel free to leave a comment after voting! What do you think of this season of MasterChef so far? As good as before, or becoming too much about the drama too quickly? I'm liking it as much as previous seasons (or even more so)! I already have some favorite contestants I want to see go far. I'm enjoying it but not as much as past seasons. Something doesn't feel the same or as good as before. Too soon to tell but I'll keep watching. Did Jordan make the right choice in saving himself? Or should he have saved someone else from the elimination test instead? Jordan did the right thing in saving himself. There's no reason to put yourself up for elimination if you can save yourself from a challenge. Jordan was team leader and should have done the "honorable" thing - his team failed so he should face elimination. He should have saved Krissi (or someone else) instead. Poll time! - Who's the weakest chef left in the kitchen? Who do you expect to go home next, of the remaining 16 contestants on MasterChef? Poll time! - Who do you think had the worst plate of Eggs Benedict? Which contestant would you have sent home for their Eggs Benedict? Poll time! - Are you sad to see Kathy go home? What do you think of this week's elimination? I'm not surprised Kathy went home. She definitely wasn't as strong of a contestant as the other chefs. Poll time! - Was Joe being too hard on Howard? This episode really seems to have divided viewers over the Krissi vs. Bime battle. How do you feel about Krissi at this point of the competition, and her putting Bime up for elimination? I don't have a problem with what Krissi did. It's a competition and she has to put herself first! I don't have a problem with Krissi putting Bime up for elimination. But I didn't like her laughing and snickering over Bime screwing up - that was petty and mean-spirited. I don't like what Krissi did. Bime should have been safe for making the better fried chicken. Looks like it's time for another Mystery Box with 13 "cheftestants" still in the competition. It's a bit of a horror show when they find a pig's head waiting for them...and then last season's winner Christine Ha is there with the elimination test. What does it involve? Find out in my recap! Christine Ha became an immediate sensation and fan-favorite when she appeared in the initial audition episodes of Season 3. She went on to win the entire season thanks to her incredibly developed ability to cook without sight but by using her other senses fully.In her just-released cookbook, she shares her story and journey in life along with the recipes that won over the MasterChef judges. It's definitely a "must have" for any fan of MC who wants to know what makes for a winning chef. Christne Ha's new cookbook features an eclectic mixture of recipes, from "down home" Texas favorites like Buttermilk Fried Chicken to Vietnamese classics like Rice Porridge with Chicken. You'll learn how to make some of the recipes she cooked on MasterChef, including her finale entree of Braised Pork Belly with Egg and Clay Pot Catfish - the dish which won her an apron from Gordon, Graham and Joe in the very beginning of the series. Poll time! - Who do you think should have gone home this episode? Who do you think had the worst dish in the bottom three? Christine Ha's appearance in tonight's episode made me think back on Season Three of MasterChef...and earlier. How do you feel about this season so far, now that we're twelve episodes in? I don't think season four is as enjoyable as previous seasons. I think season four is as good overall as previous seasons. I think season four is better than previous seasons. I never watched MasterChef until this season, so I can't say. There are no new episodes airing this week due to the Fourth of July holiday. However, there is plenty of news and controversy brewing about the series since philly.com broke a story on June 27 regarding local contestant Krissi Biasiello. Sources provided screencaptures of racists comments made by Krissi on her personal Twitter account (now deleted), “krissiloud”. I’m not going to repeat the things she said; you can see them in the article itself. Since then, there has been no official statement from FOX or MasterChef production/reps. Krissi herself made only one apologetic comment on her official Twitter and Facebook accounts – and it hasn’t exactly been warmly received and accepted by many, although Krissi’s supporters still are standing strong and saying people are just being “oversensitive”. Meanwhile the show is plagued by other controversies this season, including reports of possible sexual harassment and abuse by show judges and staff members, and an upcoming episode (already filmed) featuring Paula Deen – currently under fire for her own alleged racist and harassment issues in the past. What do you think of this current controversy regarding Krissi and her past "racist tweets"? I don't think it's a big deal; Krissi apologized and that should be enough. People are too sensivite today. I think Krissi needs to issue a more genuine apology for her past tweets and show some genuine remorse. Then I'll forgive her. I don't accept Krissi's apology at all and think she's only sorry she got caught. FOX/MasterChef needs to address this matter - not just Krissi. If they don't it's going to affect my ability to keep enjoying the show. There's a special Mystery Box this week courtesy Eva Longoria and a selection of Latin-themed ingredients. And then an elimination test which will be based on sweet or savory ingredients! Were you surprised to see Lynn sent home in this episode? Yes. I thought he'd be one of the finalists - or at least get into the top 10 for sure. Not really - I didn't think he was that strong of a chef compared to the others at this point. Time to hit the beach this episode and watch the cheftestants make fish tacos for a bunch of surfers! Then it's a tough elimination based on chicken prepared three different ways. Poll time! - Who's the strongest competitor left in the MasterChef kitchen? We're down to nine chefs remaining...who do you think has the best odds now of winning the season 4 competition? Poll Time! - A surprising elimination or not? Were you surprised to see Bethy go home this week? Yes - I thought for sure she'd make it further. Not really. I was more surprised she made it this far. Poll time! - Which team would you have picked as the winner of the wilderness challenge? Red or Blue: Who made the better dish, from what you could see on TV? I think Red Team deserved to win with their pigeon dish. I think Blue Team's pasta with rabbit looked better and more creative. It's family reunion time as the contestants get to make a loved one's favorite dish. Then it's a tag team elimination test involving a sushi platter. Poll Time! - Do you think the judges sent home the right person this challenge? Do you agree with the judges on their elimination of Eddie this week? Yes - I think the judges made the right call. Eddie performed the worst in this challenge. No. I think Jessie should have been sent home. No. I think someone else from one of the other teams should have gone home. Are you happy Bri is coming back into the competition? No. I wanted another chef to come back instead of Bri. No. I don't think ANY chef should get a second chance at the competition once they've been eliminated. There's a T-Bone steak for each chef in their Mystery Box and they must do their best to elevate a steak dinner. Then it's time to cry fowl in the elimination test as each of them will have to prepare a different kind of poultry. Poll time! - Is your favorite chef still in the competition? We're down to Bri, James, Jessie, Luca, Krissi and Natasha. Is your favorite contestant still in the running for MasterChef? Yes. My favorite is still here - and I predict he or she will win it all! Yes. My favorite is still here but I don't think he or she will win. No. My favorite contestant has already been eliminated. It's time for the dreaded restaurant takeover! The chefs have to prepare appetizers and entrees in a trendy new Wolfgang Puck restaurant. Members of the losing team have to battle it out over fried calamari. Who do you think will be eliminated in the NEXT episode of MasterChef? Poll time! - Were the judges fair to James in this episode? James won the Mystery Box challenge and was told he was in the final four. Then they chose not to eliminate anyone this round after all. Do you think this was fair? Yes - it was fair. If everyone did a good enough job on the noodle soup they should all be safe. No - it wasn't fair. Someone should have gone home. It seems like the judges wanted to save their favorites from elimination. The remaining 5 home cooks must prepare a special luncheon meal for guests of Paula Deen. Then three of the chefs must recreate dishes from the judges' restaurants to stay in the game. Poll time! - Who is leaving the show next? Which chef do you think will be eliminated next, and NOT make it into the final three? The remaining four home cooks have to pair up to prepare a three-course meal for the judges. The losing team must then compete against each other in a chocolate-themed elimination test. Poll time! - Did the judges select the right team? Which team did you think had the better looking three-course meal? 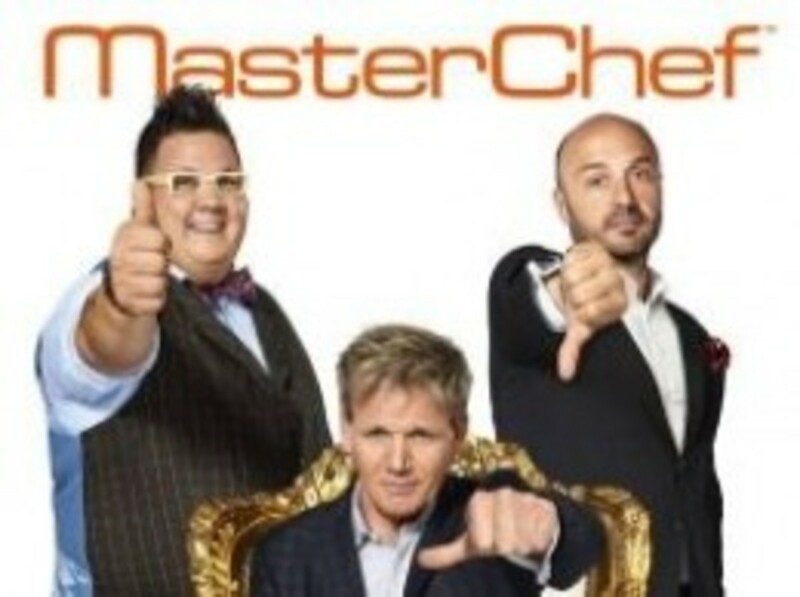 Who is going to win MasterChef? - Time to cast your vote! Who do you think will win the title this season: Luca or Natasha? This is it: the final battle. It's Luca versus Natasha in a race to complete a stunning three-course meal for the judges, who will then name the next MasterChef! Are you excited that Luca won and looking forward to his cookbook? Absolutely! I will definitely buy his cookbook when it comes out - in fact I'll probably pre-order it as soon as I can. I'm happy Luca won but will wait to hear more about his cookbook before deciding if I want to buy it. I'm happy Luca won but I'm not interested in his cookbook. No - I wanted Natasha to win. I would have bought her cookbook. No - I didn't want either Natasha OR Luca to win. When did MasterChef Season 4 film, and how long did the filming run?Given you must have been 18 years old by January 1, 2013 to audition, the actual filming of MasterChef was likely to have begun sometime after the new year. How long filming took I do not know, although if you check the contestants' official Facebook pages, all were created in early February 2013. When will MasterChef Season 4 air on television?MasterChef Season 4 began airing on FOX on May 22, 2013. It has been airing on Wednesday nights between 8:00 - 10:00 pm Eastern Time. My experience at two open casting calls. Want to learn more about the basics of MasterChef: the origins of the series, links for previous contestants, and episode-by-episode recaps? Then check out my page linked below which is all about season 3 and the history of the MasterChef phenomenon. Poll: How Much of a MasterChef Fan Are You? Are you a big fan of MasterChef US? I love MasterChef - but just watching it. I'm not interested in trying out to be on the show myself. I like MasterChef okay but it's not one of my favorite TV shows. I've never watched MasterChef/have no opinion. Useful MasterChef Links - Bookmark these sites and references! Planning on Trying Out For MasterChef? - You might want to brush up on your cooking skills first! From the contestants of season three comes this compendium of 100 recipes, along with wine pairing notes and commentary by Joe Bastianich. This book will give you insight into what has made for winning dishes on MasterChef, from basic standbys all chefs should know to more challenging creations like slobster with bourbon and shallots. This cookbook come from the BBC version of MasterChef. Of course, recipes are international and if you're looking for another basic compendium of MasterChef-quality recipes, it's worth adding this title to your collection. Stay tuned as this page is updated throughout the season - I can't wait to hear what you think about it! Anything else to say? - Your feedback and comments welcome! Finally Krissi went home, very long overdue! I feel sad for her son, he must be so embarrassed by her, she should be ashamed for her comments and behaviour throughout the competition. I was a little disappointed in this season, mostly because I felt they kept Krissi on much longer than she deserved, to keep ratings up. I enjoyed the other years far better. i want to know its winner. What would the producers have done without Krissi this year? Everyone else seems to understand they are in a competition but that doesn't mean you can't be nice to each other. The sauce flicking incident should have led to her removal, or at least a public calling on the carpet. She's certainly generated most of the high drama this season. @JeremyBentham LM: Thanks! I enjoy writing up the show - it was a blast last season so I have to keep things going for this year, too.I don't like the vibe of how they are trying to portray Natasha as the villain so quickly. It's like they want to shoehorn her into a certain role, like they did with Becky last season. Of course it's all drama for tv. And I get your point about the language, too...I'll be watching for that in the upcoming episodes. Nice job with the recaps! Keep it up! I don't mind the drama with Natasha so much as Krissi's foul mouth. Cursing doesn't bother me but I like to watch this show with my kid and Krissi's mouth ruins it. We had to stop watching "Hell's Kitchen" together because of the contestant's use of the B word over and over and over again. It's tiring. And it's something the 9 year old can't watch. Hey! Thanks for all the work you put into this awesome site! Love the recaps. I can't wait so happy it's the 22nd !